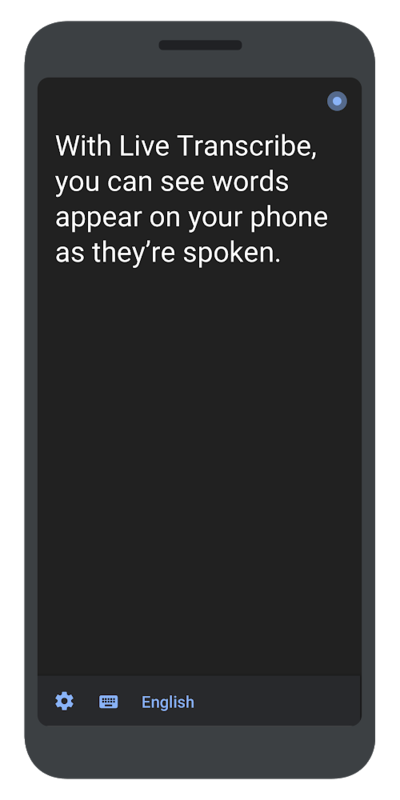 Android Accessibility: Live Transcribe. An Answer To Your Hearing Difficulties? The World Health Organization estimates that by the year 2055, there will be 900 million people with hearing loss. This week, Google introducing a new app for Android designed to help deaf and hard-of-hearing people: Live Transcribe. Dimitri Kanevsky is a research scientist at Google who has worked on speech recognition and communications technology for the last 30 years. Through his work, Dimitri—who has been deaf since early childhood—has helped shape the accessibility technologies he relies on. One of them is CART: a service where a captioner virtually joins a meeting to listen and create a transcription of spoken dialogue, which then displays on a computer screen. Dimitri’s teammate, Chet Gnegy, saw the challenges Dimitri faced using CART: he always carried multiple devices, it was costly and each meeting required a lot of preparation. This meant Dimitri could only use CART for formal business meetings or events, and not everyday conversations. That inspired Chet to work with the Accessibility team to build a tool that could reduce Dimitri’s effort spent preparing for conversations. 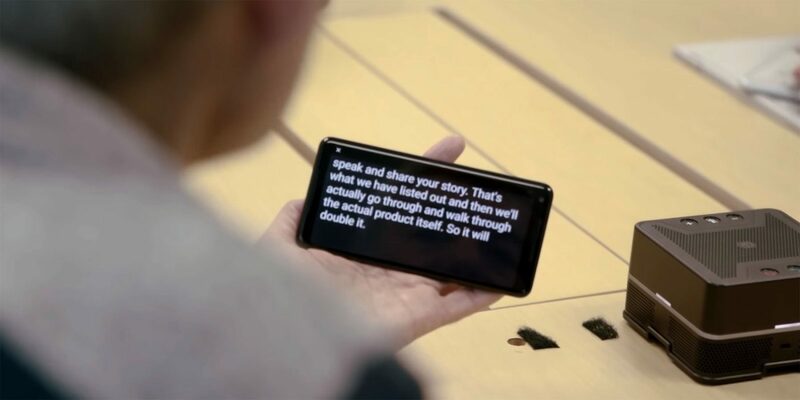 We thought: What if we used cloud-based automatic speech recognition to display spoken words on a screen? A prototype was built and Googlers across a bunch of our offices—from Mountain View to Taipei—got involved. The result is Live Transcribe, an app that takes real-world speech and turns it into real-time captions using just the phone’s microphone. Live Transcribe has the potential to give people who are deaf or hard of hearing greater independence in their everyday interactions. It brought Dimitri closer to his loved ones—he’s now able to easily communicate with his six-year-old twin granddaughters without help from other family members. We’ve heard similar feedback from partners at Gallaudet University, the world’s premier university for deaf and hard of hearing people, who helped us design and validate that Live Transcribe met needs of their community. At My Way Access, I have played around with the app yesterday and tested it in real life situations. It is a great little app and will go a long way to helping people with hearing difficulties. However, it is still in it’s early days for development and has brought a few transcribing errors for me. It could be the case of my accent, which is quite strong and has replicating issues with my Amazon Alexa too. I would recommend for people to download and use, but do not rely on it just yet. It will be good for catching those bits of the conversation that you miss, but will not give you the entire, complete conversation yet. I can see the app improving though and will be a great bit of software in a few months ahead.